Seduce Me Ingredients: Mica, Synthetic Fluorphlogopite, Silica, Zinc Stearate, Ethylhexyl Palmitate, Dimethicone/Vinyl Dimethicone Crosspolymer, Boron Nitride, Dimethicone, Phenoxyethanol, Caprylyl Glycol, Hexylene Glycol, Ethylhexylglycerin. May Contain/Peut Contenir (±): CI 77891 (Titanium Dioxide), CI 77491, CI 77492, CI 77499 (Iron Oxides), CI 19140 (Yellow 5 Lake), CI 73360 (Red 30 Lake), CI 77742 (Manganese Violet), CI 16035 (Red 40 Lake), CI 15850 (Red 7 Lake)." LOVEEEEE THESE BLUSHES! pigmented and perfect colors. It really works for different skin colors, and great for every look. I had heard such rave reviews about the blush duos, and i was prepares to purchase one but then I saw a sneak peek of this and though "what perfect timing!" o I purchased it from Jouer right away. I love the palette, so many choices. I am very fair and was afraid some of the shades would be too intense but you can sheer them out really easily. 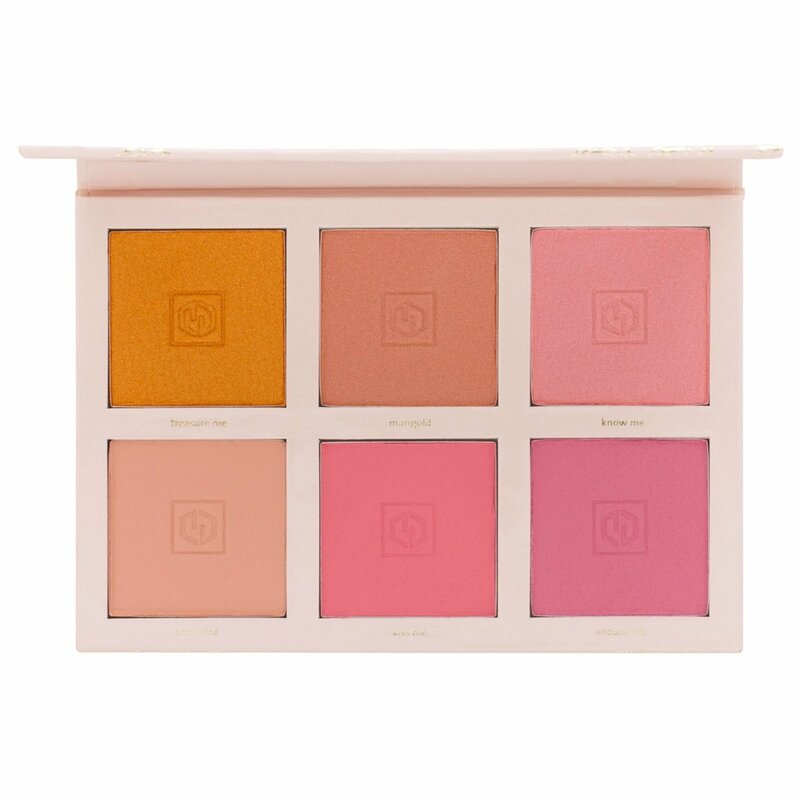 I highly recommend this cheek palette if you're looking for a nice variety of shades.